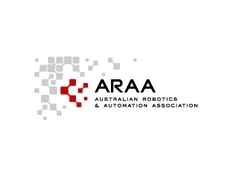 The Australian Robotics & Automation Association (ARAA) is the Australian and New Zealand professional body concerning robots and related automation technologies. The association provides a focal point for Australian industry and researchers concerned with the robotics and automation and aims for promote knowledge and understanding in this area. The association also encourages research and development for the benefit of industry and society by the advancement of robotic and automation system capabilities. Promoting, improving and encouraging education and training to high quality levels is also high on the agenda for the association as it believes this is critical to maintaining Australia's place as one of the world’s leaders in robotics research. Details on schools and university courses associated with automation and robotics is available from the ARAA website. The Australian Robotics & Automation Association also hosts conferences and other meetings, with their Australasian Conference on Robotics and Automation (ACRA) being held on a yearly basis. Membership of the ARAA is open to organisations and individuals, more information of which is available from the association’s website.